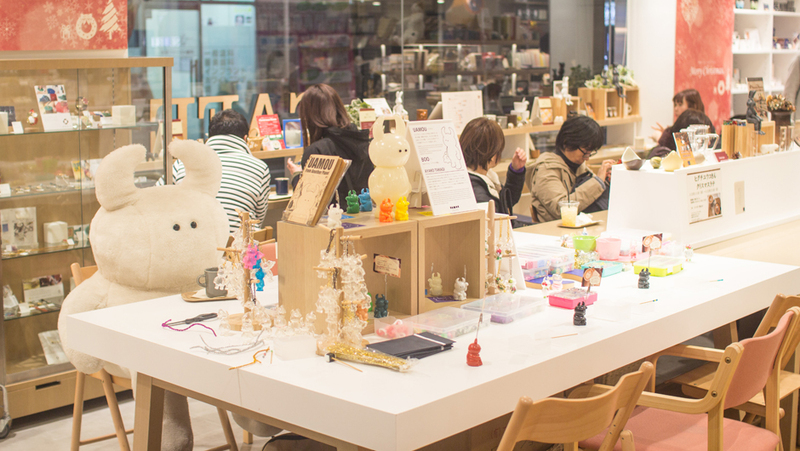 “Make your own Uamou Workshop” is back to the Ichinoichi store in Seibu Ikebukuro after 4 months of interval! 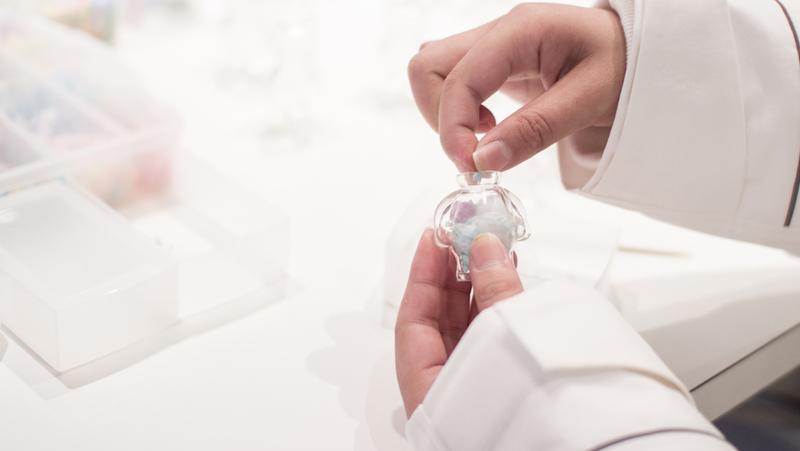 Just like our regular workshops held at Soramachi you can make your own original Uamou figure with a wide choice of bijoux and trinkets. 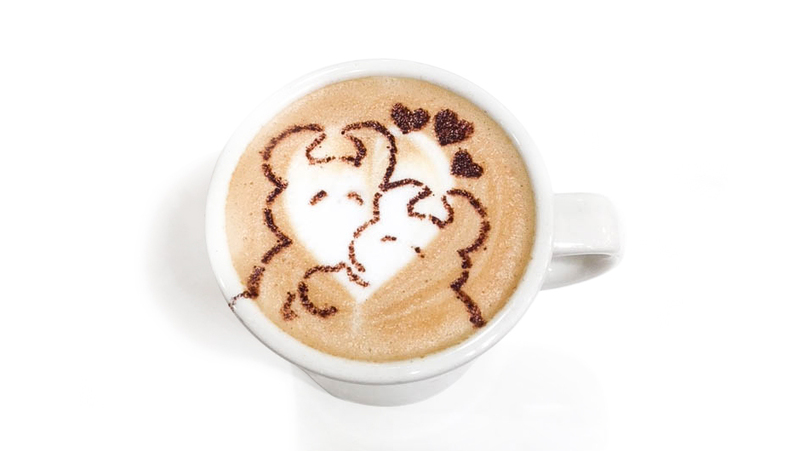 In addition to that at the Ikebukuro store, you can enjoy their tasty cafe latte and this time around we prepared a special design of “hugging” Uamou illustrated with cacao powder! 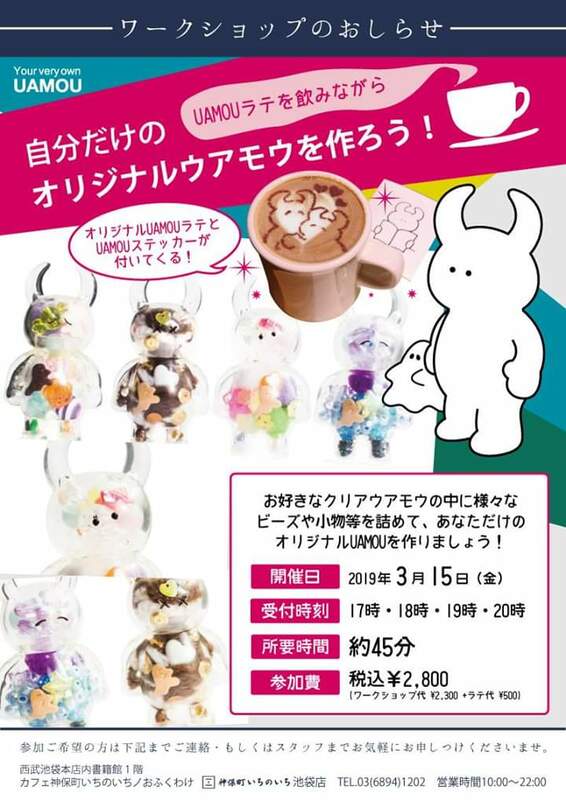 Choose your favorite expression of “Clear Uamou” figure and fill it up with a wide collection of colorful bijoux and accessories to create your very own unique Uamou and with the help of the perfectly fitting Boo Cap you can customise Boo as well!